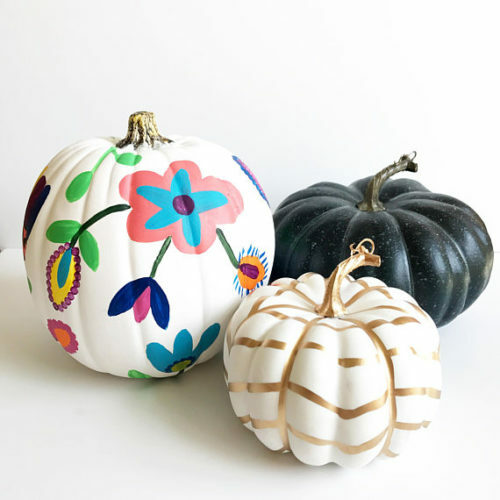 Rather than fuss with the mess of carving Jack O’ Lanterns that don’t last past Halloween, this year I decided to create my own DIY painted pumpkins! I even hosted a pumpkin paint night for me and my friends. 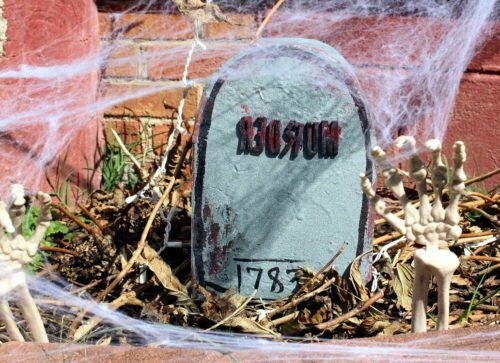 I thought everyone came up with some really fantastic ideas for painting their pumpkins. 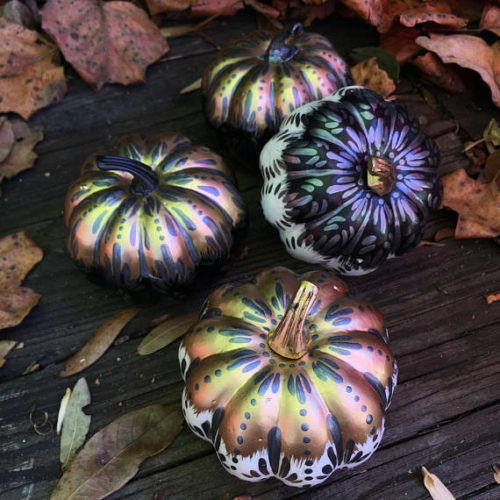 And not only are these DIY painted pumpkins perfect for Halloween, but they can also be brought indoors for a seasonal fall table centerpiece! Hosting your own pumpkin paint night is a snap. 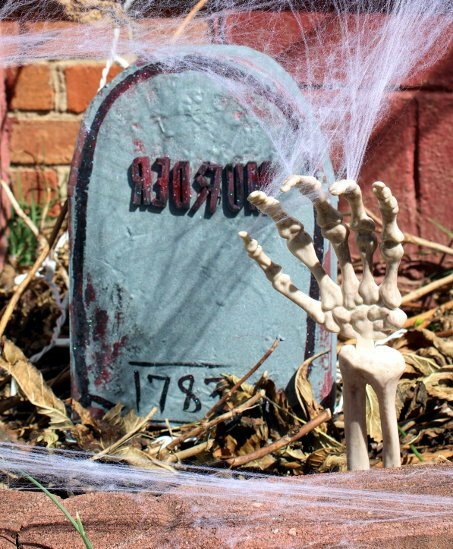 I simply provided boxed wines, snacks, paints and craft supplies while my guests brought their own paper mache pumpkins. 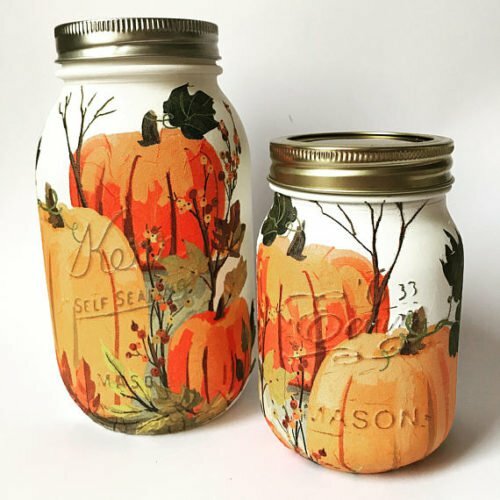 If you don’t already have an arsenal of craft supplies on hand, you could also request that each guest bring a small container of paint and/or their own brushes in addition to the pumpkin of their choice. 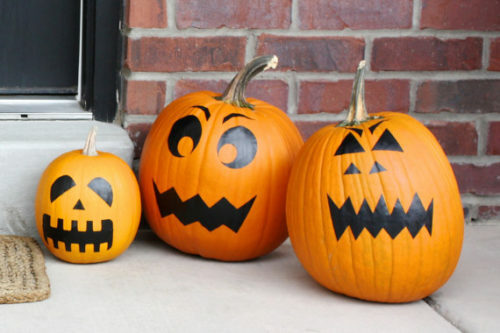 A pumpkin paint night is also a great idea as an alternate adult or teen Halloween party! 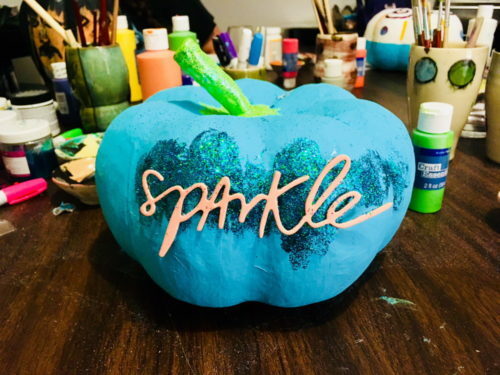 Following are some of the highlights from my pumpkin paint night I hosted last week when my friends and I created our own DIY painted pumpkins. 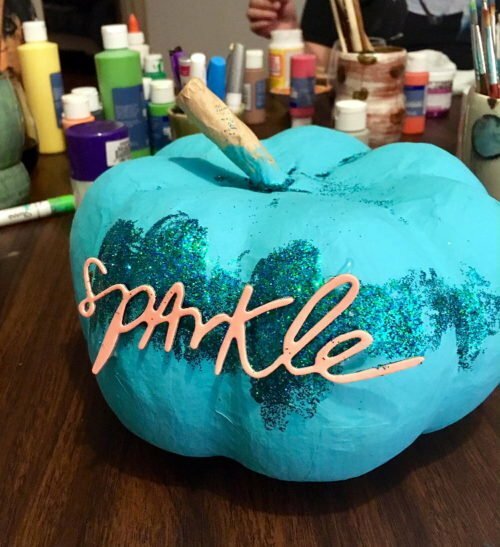 But don’t forget to read to the end to see how you can recreate my sparkle painted pumpkin – plus more fall craft ideas! 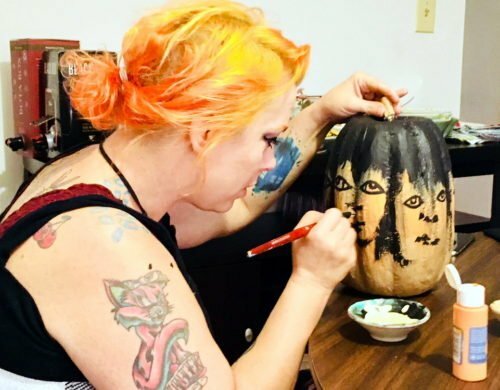 Everyone that attended had their own fantastic ideas for how to paint their pumpkins. 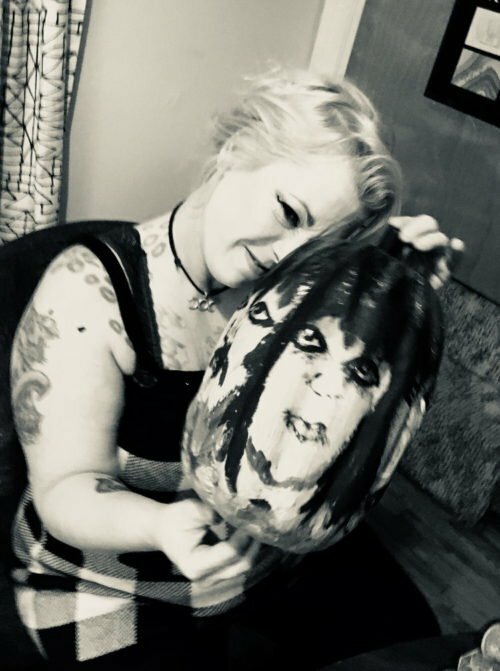 My friend Cathy created a multi-face painted pumpkin. So as the pumpkin was turned you were presented with a new face! How cool is that?! (Be sure to hit play to see all of the painted pumpkin faces! 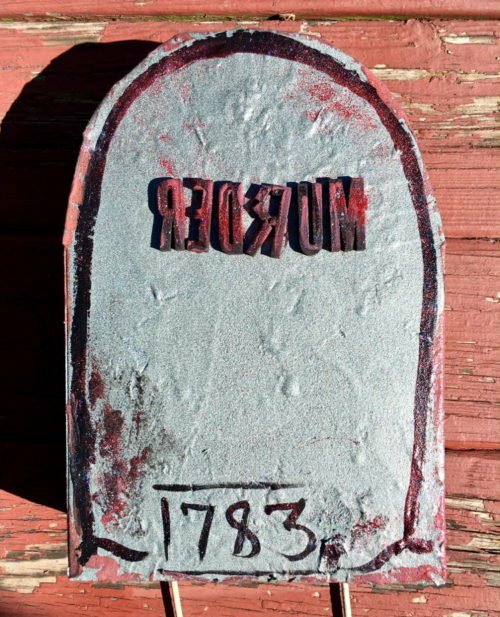 She also painted a wooden “poison” Halloween sign. 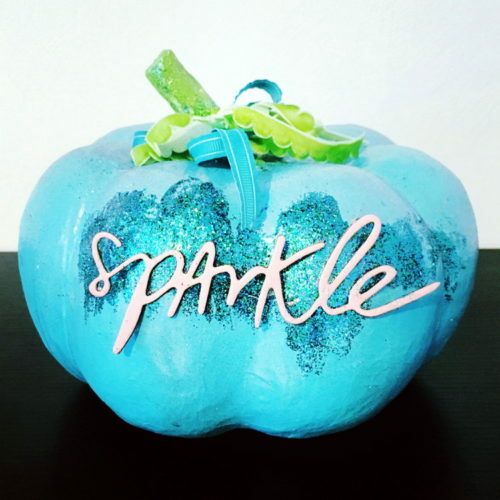 And I, of course, painted a sparkly glitter themed pumpkin! Here’s how it was done. Cover your work surface with newspaper or a paper towel to protect it from paint. 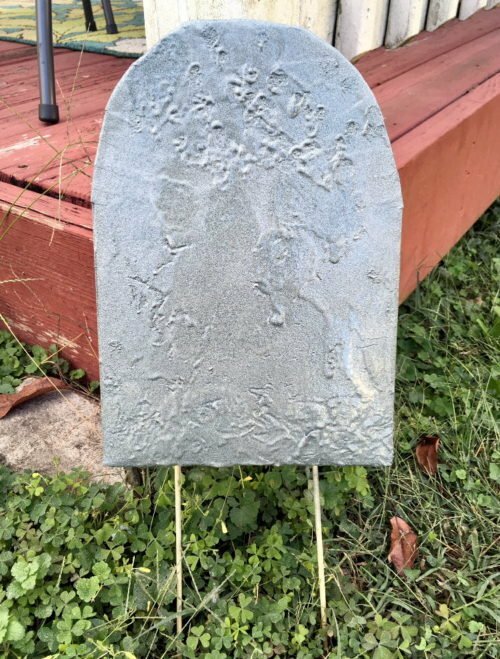 Then, using a foam brush, apply teal paint to the entire body of the pumpkin minus the stem. Allow the first coat of paint to dry completely then apply a second coat. 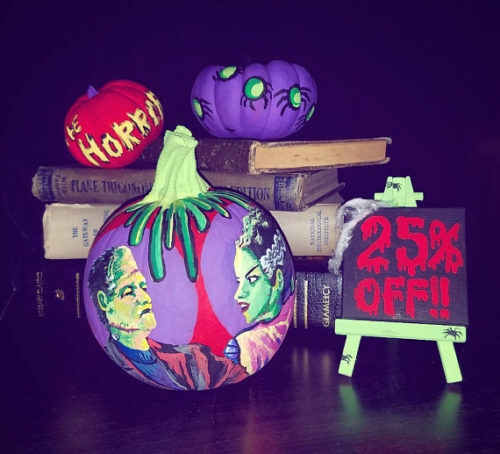 Once dried, use a foam brush to randomly apply Mod Podge to a front section of the pumpkin. 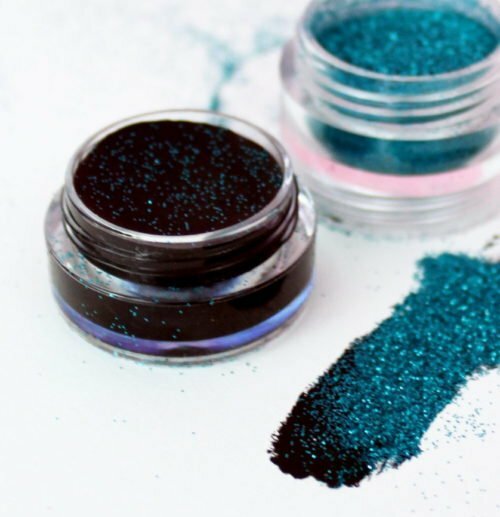 Then sprinkle blue and green glitter onto the wet Mod Podge. 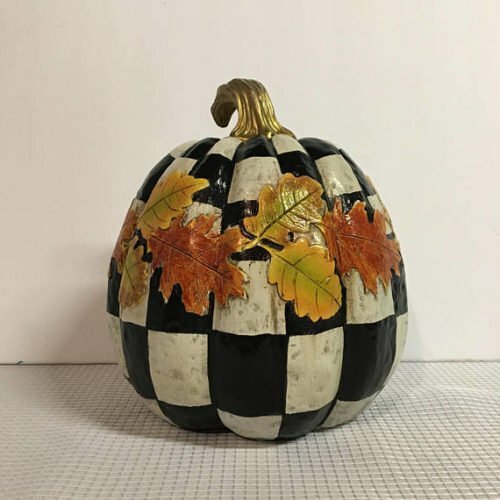 Once the Mod Podge dries, use a strong craft glue – I used E6000 craft adhesive – to glue a scrapbook chipboard phrase of your choice onto and across the front of the pumpkin. Next, paint the stem of your pumpkin green. 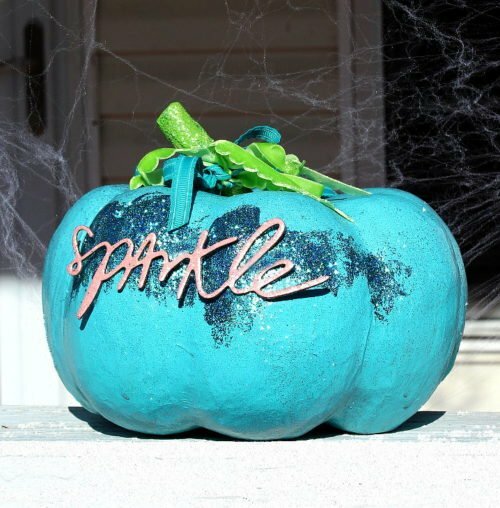 Then, while the paint is still wet, gently blow blue glitter into the wet paint on the pumpkin stem. 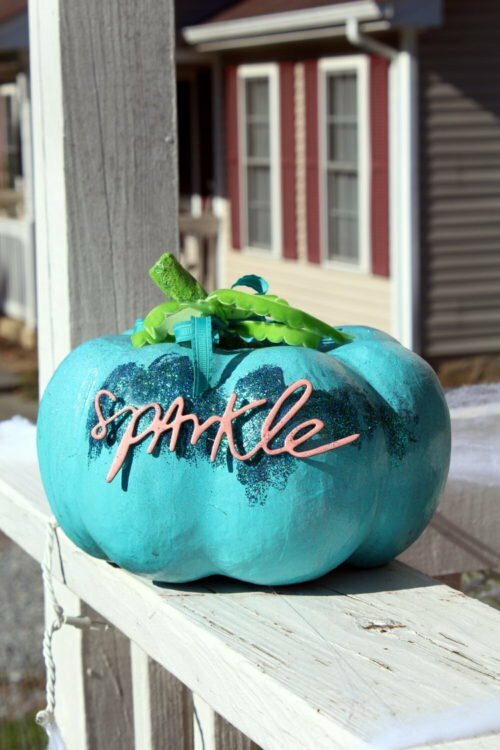 Once dry, finish your pumpkin with 2-3 coats as desired of perfectly pink Krylon glitter shimmer spray. 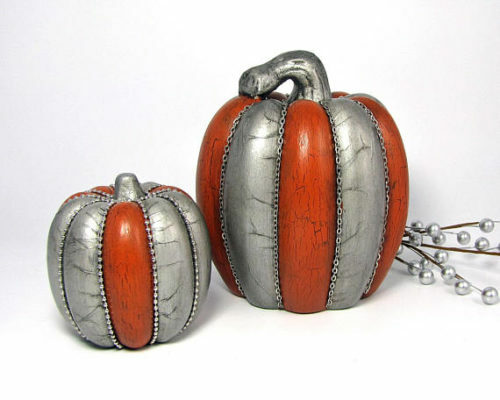 Finally tie teal and green ribbons onto your painted pumpkin’s stem. I used long pieces of ribbon and tied the two ribbons together into a bow twice. Then I tied the leftover long ribbon ends into a bow again but this time I tied the teal and green ribbons into bows separately. 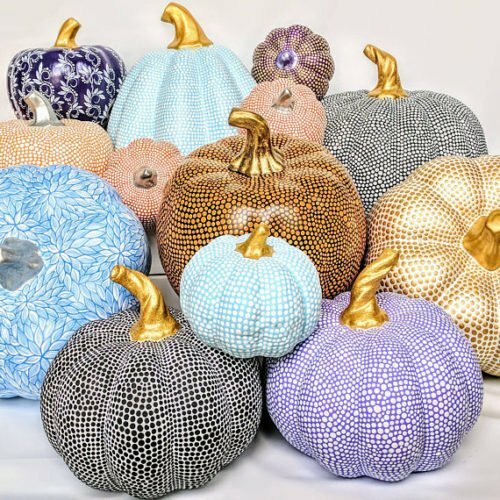 If you like our ideas for DIY painted pumpkins, then also be sure to check out these other no carve fall pumpkins. 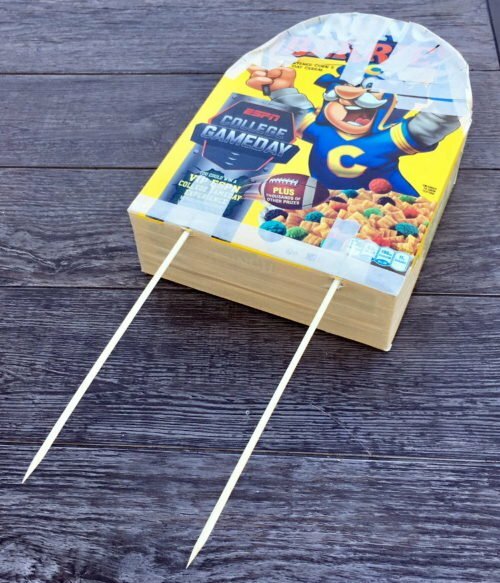 You may also enjoy my project for making DIY Halloween tombstones from upcycled cereal boxes. 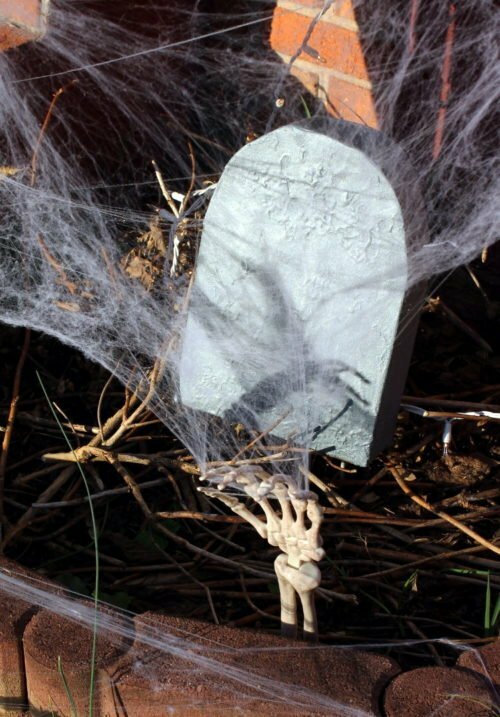 You can find that Halloween DIY here. 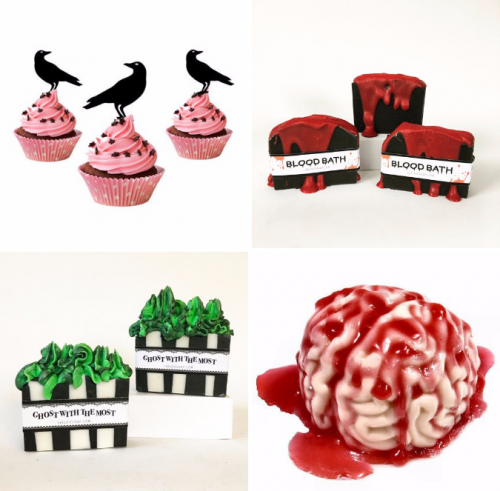 Or gather even more fall inspiration from these non-food bath and body Halloween treats including anatomically correct heart bath bombs and bloody brains on foam deli meat trays. 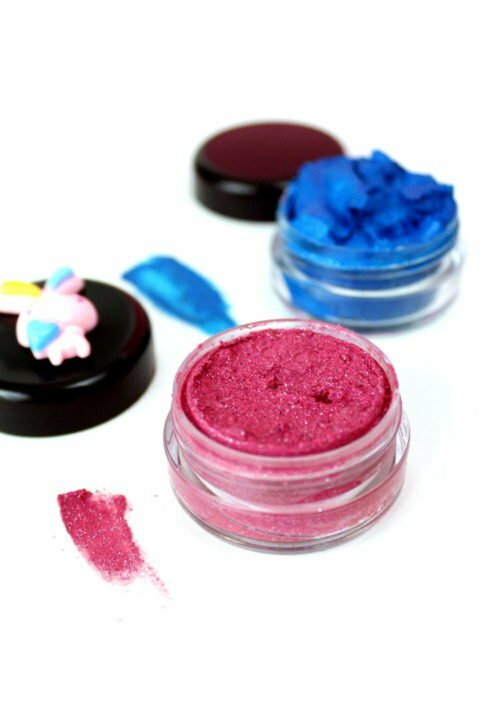 If Halloween makeup is more up your alley, then you must check out my color customizable, bold DIY cream eyeshadows. They also have glitter. Or alternately, you may prefer my recipes for making your own DIY Halloween grease makeup paints. You can find that DIY via my guest post at The Nourished Life blog. 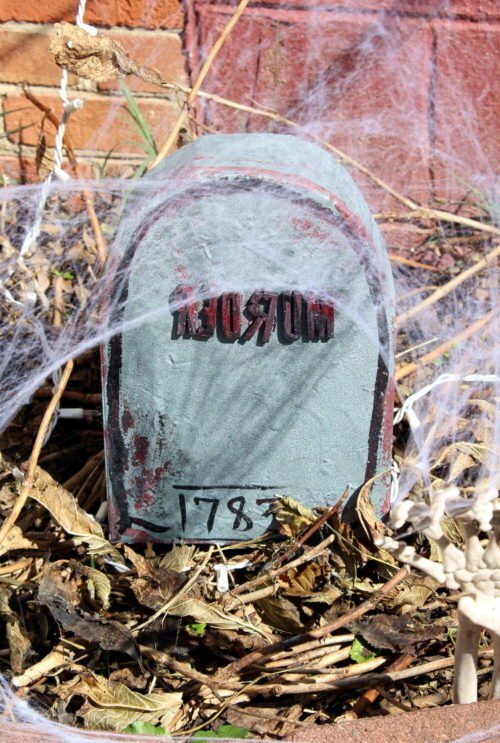 Prefer seasonal fall projects to Halloween? 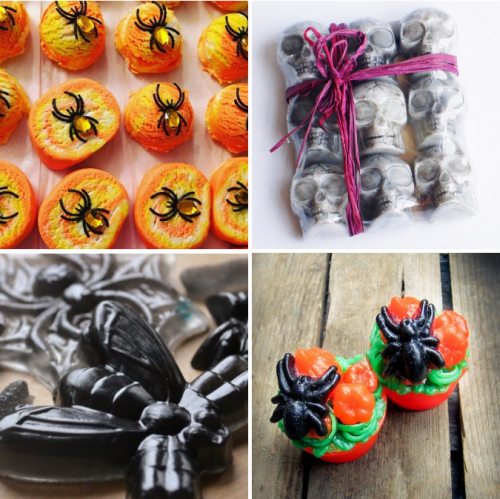 Take a peek at these amazing artisan fall soaps for inspiration or learn how to make my 3-D moldable pumpkin spice soap. 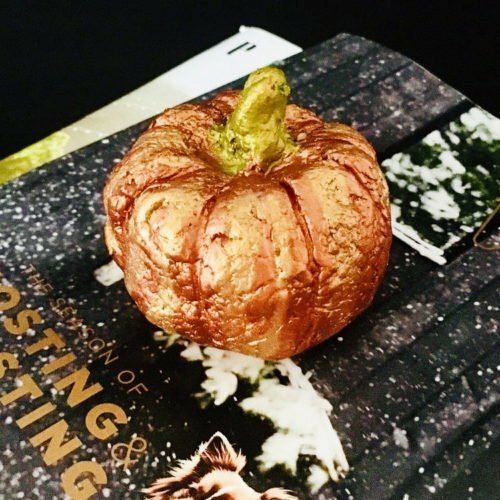 You can also learn how to make your own natural pumpkin spice roll-on perfume (also via a guest post) or check out this fantastic collection of twelve fab fall skin care recipes you simply won’t be able to resist. 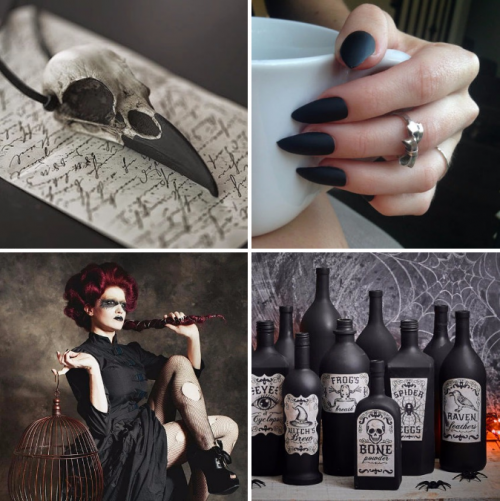 Also be sure to follow my Halloween DIY Projects & Ideas Pinterest board for even more great fall crafts ideas along with my Jonesing for Crafts and DIY Bath & Body boards. In addition, you can find and follow me on Instagram as well as G+, Tumblr, Facebook, Twitter, Pinterest and Blog Lovin’. Or subscribe to Soap Deli News via email for future updates, DIY projects and recipes. 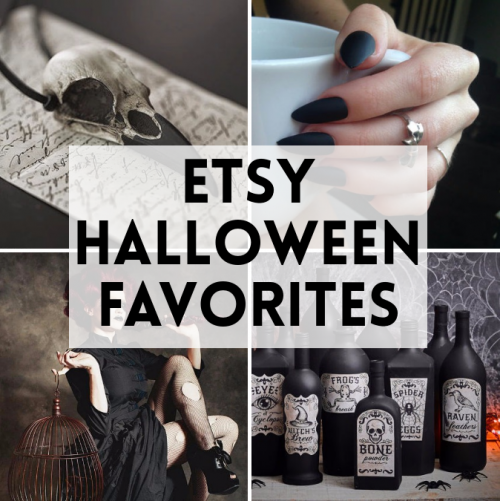 A collection of spooktacular Etsy Halloween favorites to help you celebrate this fantastic holiday! 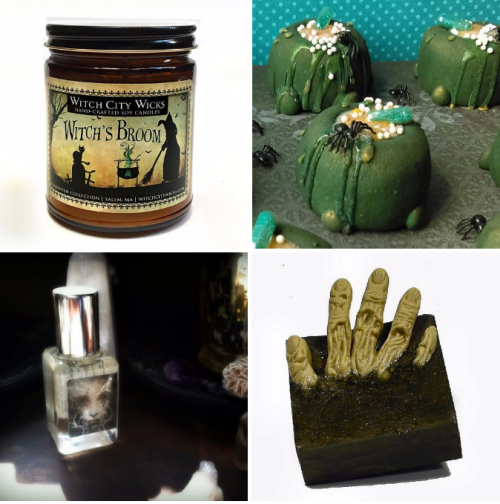 Halloween soaps and bubble bars, Halloween decorations and more to get you into the spirit of the season! 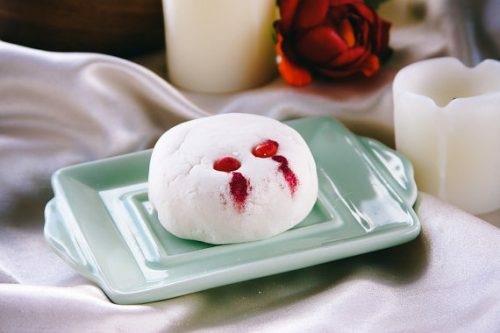 And finally, this super cool Bitten Bubble Bar by Whipped Up Wonderful. To discover more of my Etsy Halloween favorites be sure to check out my Halloweenland and Candy Corn Kisses favorites on Etsy here. 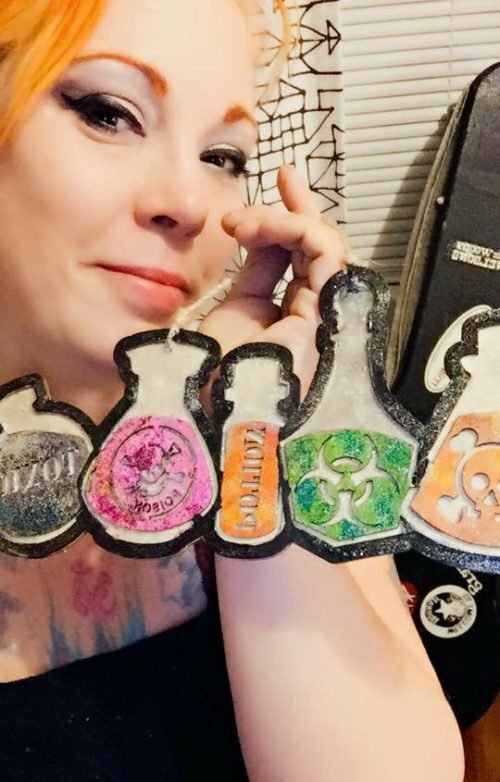 You can also find my collection of pumpkin spice and chocolate & coffee bath and body favorites. Plus, don’t forget to follow me on Pinterest, G+, Tumblr, Facebook, Twitter, Blog Lovin’, and Instagram. You can also sign up to receive new posts from Soap Deli News blog via email so you never miss a post. I stay so busy I sometimes find it hard to break away from the day job and the soap to make something other than bath and body products. 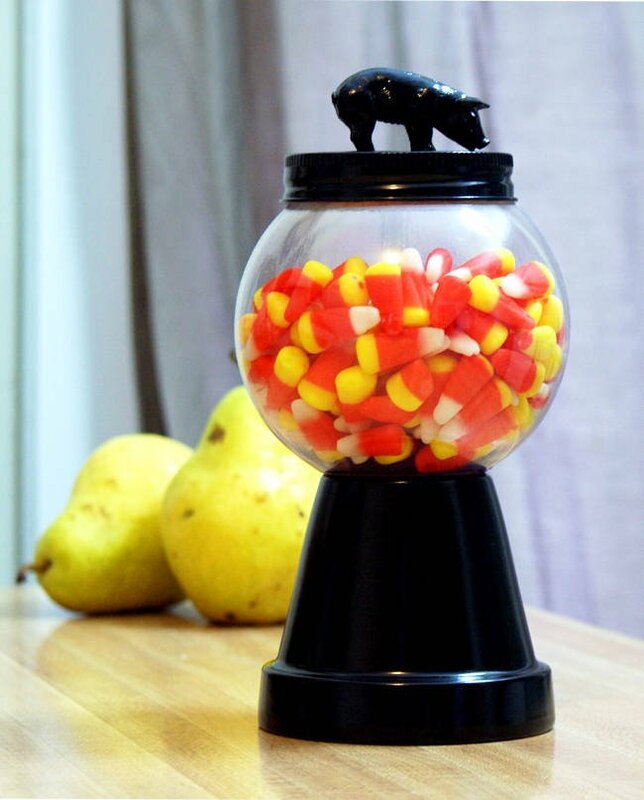 However, I did find the time to craft this simple DIY Halloween candy jar. 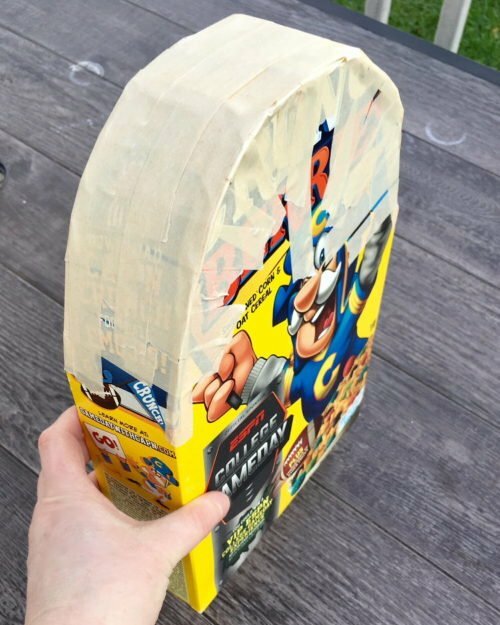 It was not only quick and easy to make, but I was able to stick to my daily routine of multi-tasking everything while waiting for the paint and then the glue to dry. 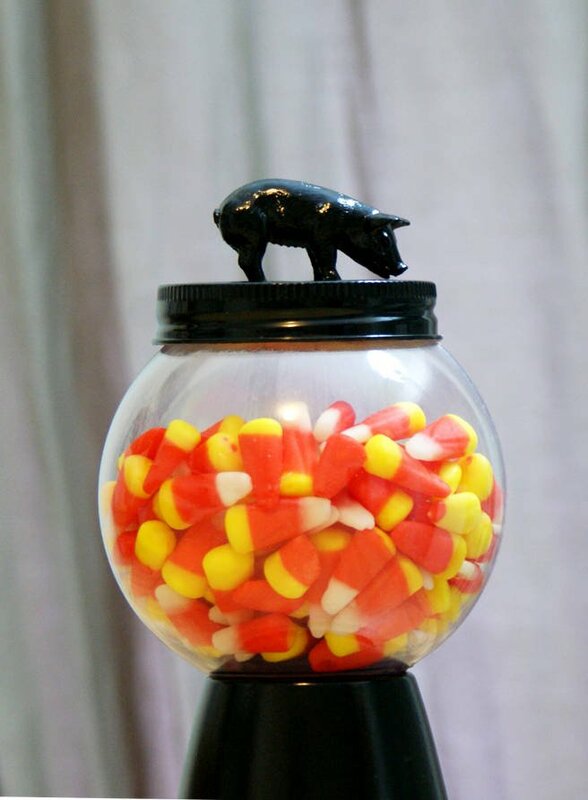 To make things even easier, I had all of the craft supplies for this DIY Li’l Piggy Candy Jar Craft Project delivered to me right at work via Darby Smart so there was no hunting for the things I needed. 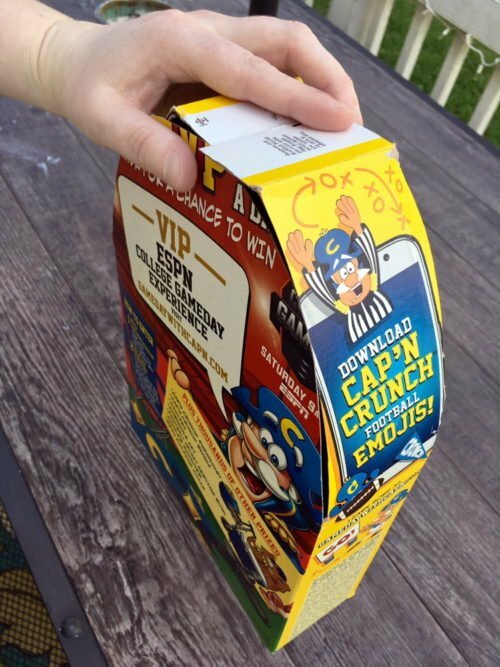 I seem to be pretty addicted to their craft kits because of this. I love trying new crafts from time to time and Darby Smart makes it so quick and easy for me to do so. Begin by using the E6000 glue (or superglue gel works too) to glue the top of the mason jar lid to the ring. Allow to dry. Next spray paint the mason jar lid, the plastic toy pig, and the terra cotta pot. 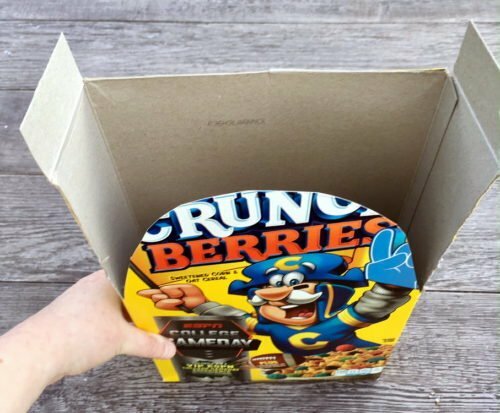 Cover each piece evenly. 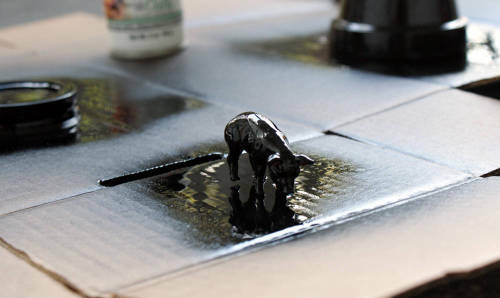 Allow to dry fully – at least a half hour – then add a second coat. Once dry use the glue to secure the round plastic bowl to the terra cotta pot by turning the pot upside down and adhering the bowl so the open end faces up. Also glue the painted pig to the top of the mason jar lid. 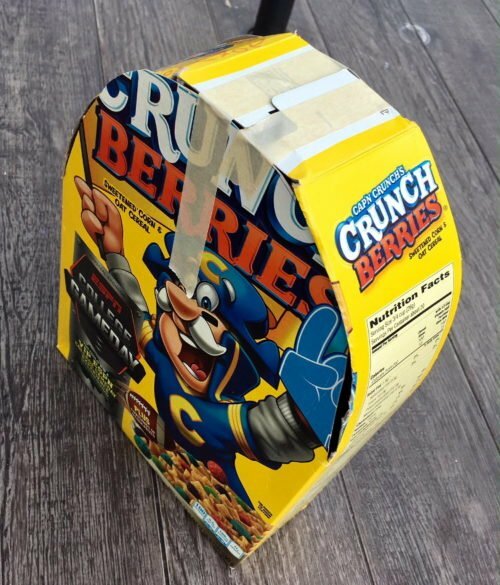 Once the glue has dried completely, you’re all set to fill your new DIY Halloween Candy Jar with candy or treats for guests. 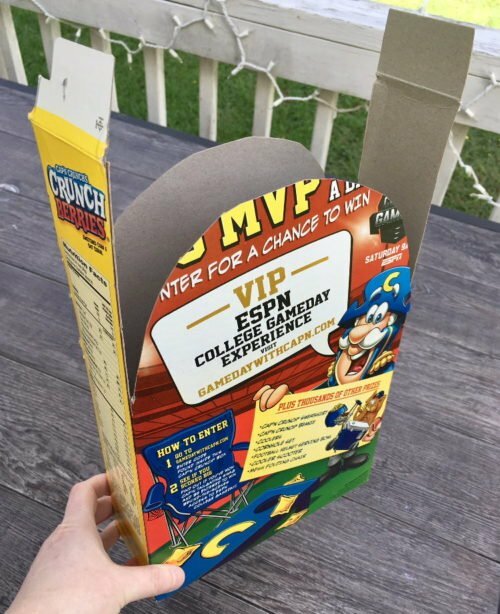 I filled mine with my favorite, candy corn! 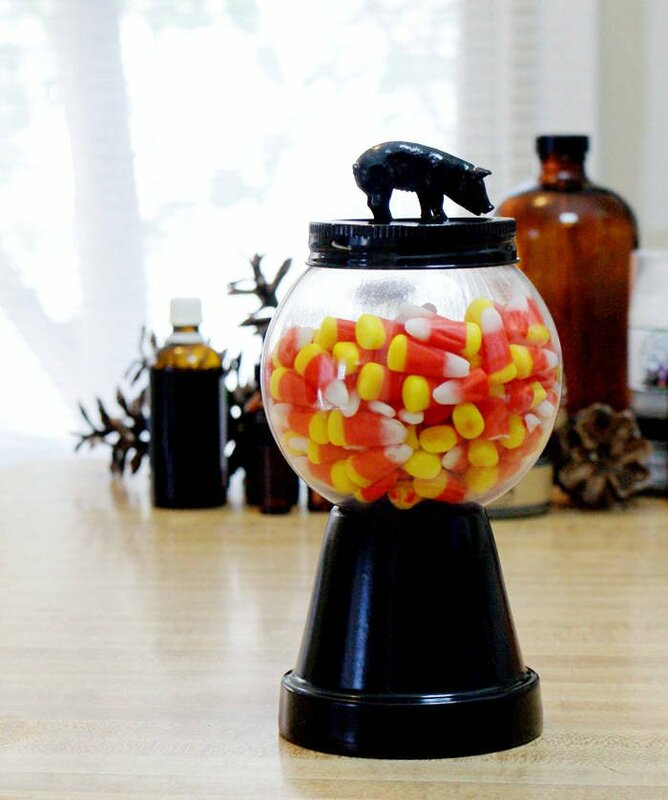 Want to purchase this DIY Halloween Candy Jar Kit for yourself? Visit Darby Smart here. Another one of my favorite craft kits I purchased from Darby Smart was the kit for making three DIY Terrarium Magnets! 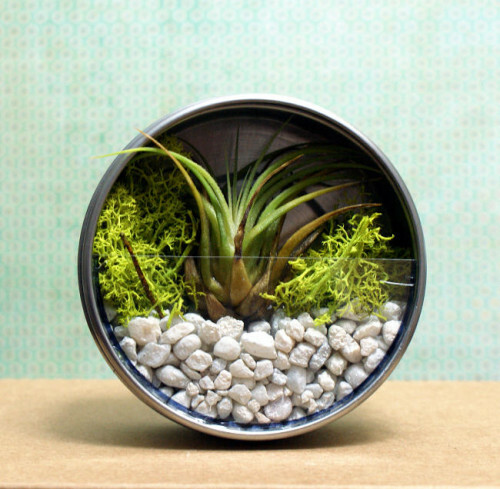 You can find the tutorial for making your own terrarium magnets like mine here. Also be sure to check out my Starry DIY Etched Mason Jar also crafted from a Darby Smart craft kit and tutorial. 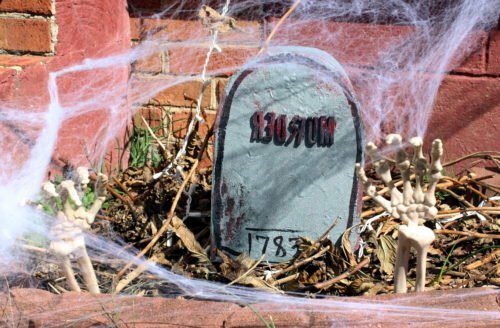 For more Halloween inspired crafts be sure to check out my Halloween DIY Projects & Ideas Pinterest Board. Or follow my Jonesing for Crafts Pinterest Board for great craft projects year round. In addition to Pinterest, you can also find me on Blog Lovin’, Tumblr, Facebook, Twitter and Instagram.